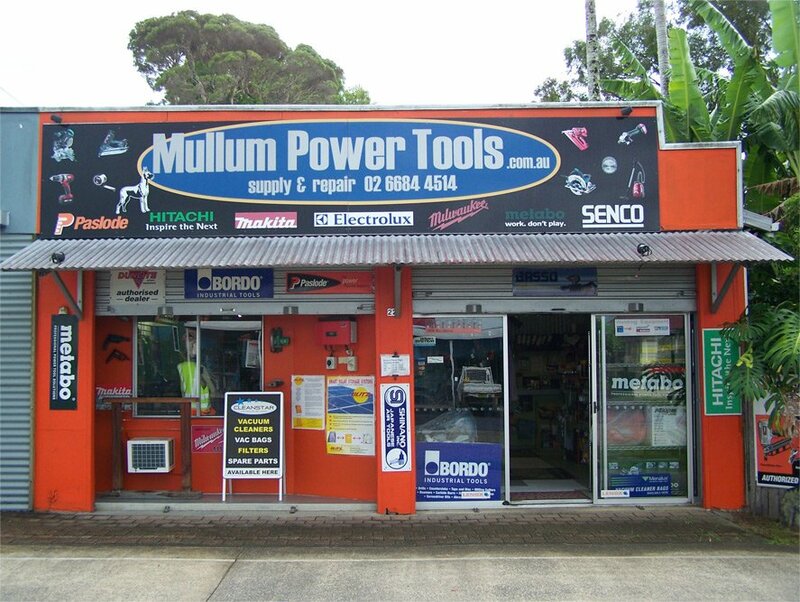 Mullum Power Tools is a national retail distributor of professional tools, accessories and supplies based in Northern NSW. We carry most major brands of power tools, cordless tools, air tools and quality hand tools. We also carry quality safety equipment, stainless steel railing equipment, vacuum cleaner bags and parts, and a large range of replacement batteries for most popular cordless tools, laptops, mobile phones and digital cameras. As our product range continues to expand, our dedication to our customers remains the same – prompt and courteous service! Power & cordless tools by Hitachi, Milwaukee, Metabo, Makita, Maktec and Fein. Nail Guns: Framers, C Bradders, Coil Nailers, Electric Nail Guns, and Gas Nail Guns from Paslode, Senco, Airco, and PorterCable. Accessories: Drill Bits, Sanding Belts, Saw Blades, Router Bits, Grinding Wheels, and of course nails for all types of nail guns. We repair most popular makes of power tools, generators, and compressors. We also repair household appliances including vacuum cleaners and coffee machines etc.